Back Road Ramblers has partnered with Vermont State Parks last summer to photograph and write about as many of the parks as we can reasonably visit. 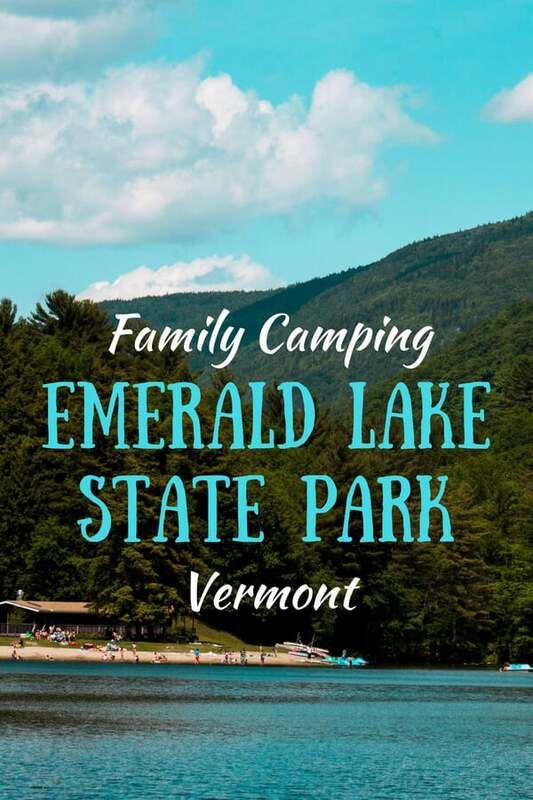 Our first camping trip of the summer was not far from home, at Emerald Lake State Park in North Dorset, Vermont. 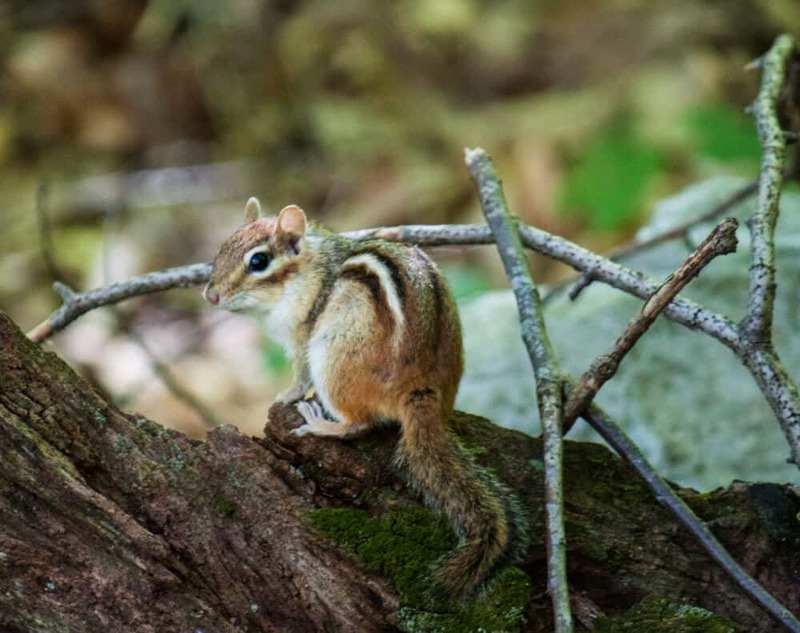 The post below was originally published on the Vermont State Park blog, but I’m including it here as well to inspire my readers to visit Vermont’s fabulous natural areas. 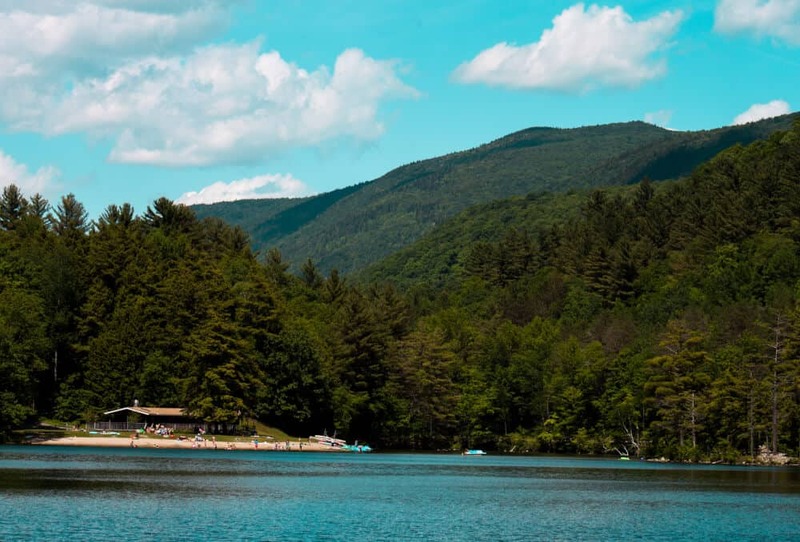 Emerald Lake State Park is nestled in a deep valley between the Taconic Mountains to the West and the Green Mountains to the east. The two mountain ranges are only a few hundred yards apart here, and they rise up steeply on either side of the lake. Covering just 20 acres, Emerald Lake isn’t big, but what it lacks in size it makes up for in beauty. Its clear green waters and sandy bottom attract swimmers, paddlers, sunbathers, and anglers throughout the summer. My family and I aren’t strangers to Emerald Lake’s charms. We’ve picnicked on the shores and spent countless hours exploring in and out of the water. Last week we decided to dig a little deeper and explore the trails and campground of this beloved local park. 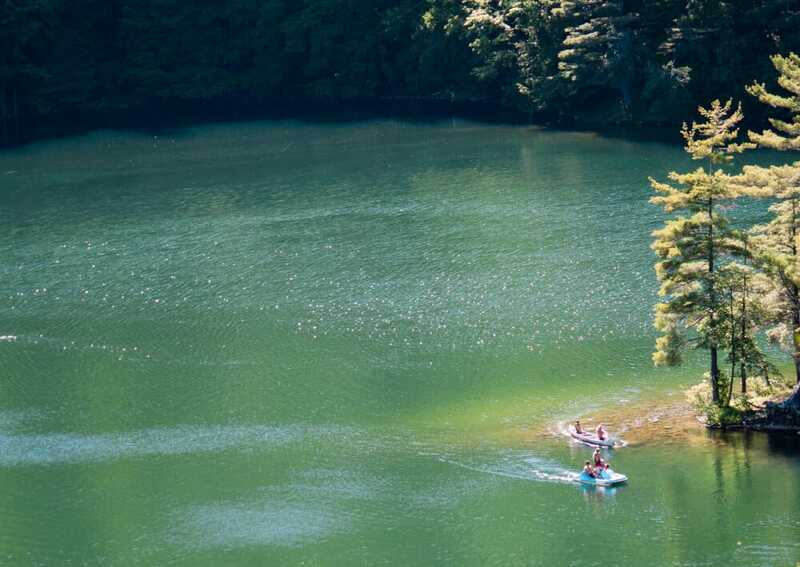 We quickly learned that there’s more to Emerald Lake State Park than swimming. 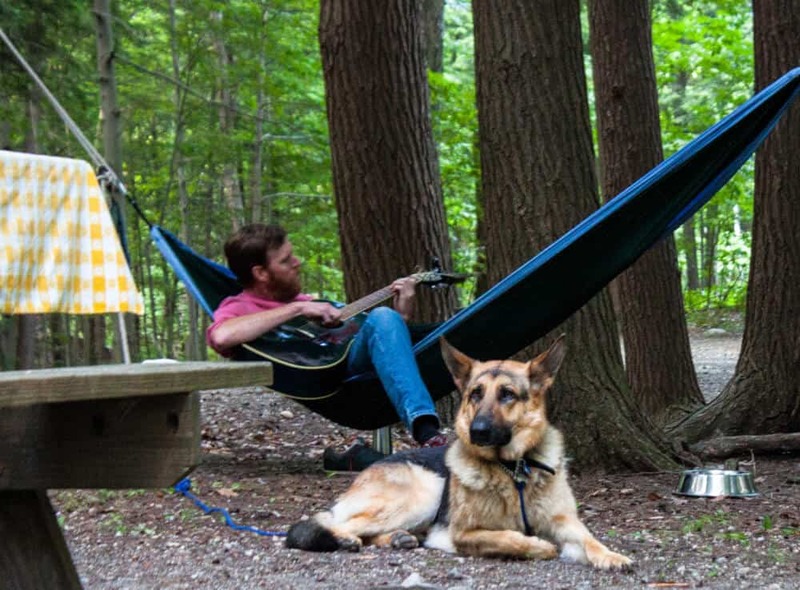 It’s also a hiker’s paradise, a haven for dog-lovers, and a perfect spot for family camping. We’d love to share some of our discoveries with you. There are more than 100 campsites perched on a wide ledge on the west side of Emerald Lake. While I wouldn’t call any of the sites waterfront, you do catch enticing glimpses of the sparkling water far below the campground. The sites are wooded with beautiful giant hemlock trees, interspersed with a spattering of maple, oak, beech and cherries. We chose site 19, at the end of the A loop. There are three sprawling campground loops, each with its own trail down to the lake. Loop A is closest to the swimming area and usually a bit more popular than the other two. On our visit, loop A was home to just three other camping families. Except for the chirping birds, and the distant sound the cars on route 7, the campground was blissfully quiet. Beware of cheeky chipmunks and squirrels. They’re quite opportunistic and will happily eat any food you leave out. Bring quarters for your shower. A hot, 5-minute shower will cost you $.25, which is a pretty good deal in the world of campground showers. Be mindful of the steep banks. Half of all the campsites are perched on the edge of a steep, wooded embankment. If you’re camping with small kids, ask for a site without a drop-off. Be prepared for bugs. Mosquitoes and blackflies are plentiful in the campground and along the shore of the lake. Blackfly season is relatively short, running from mid-June to mid-July, but the mosquitos hang around all summer. We also found a couple of ticks as we hiked the meadow and vista trails. Our all-time favorite campsite is the Hawthorne Lean-to. It’s located in the “B” campground loop, and it’s lovely and private. It’s perched on the edge of the embankment that leads to the water, so maybe not the best choice if your camping with children. Our crew of adventurers consisted of two adults, three teenagers, and a frisky German Shepherd. Aside from the excessive amount of food we had packed to keep the kids happy, our camping set-up was relatively simple. We pitched the tents, hung the hammock, and headed down to the lake. The pup and I meandered through the campgrounds, choosing to hike down to the lake from the C loop. 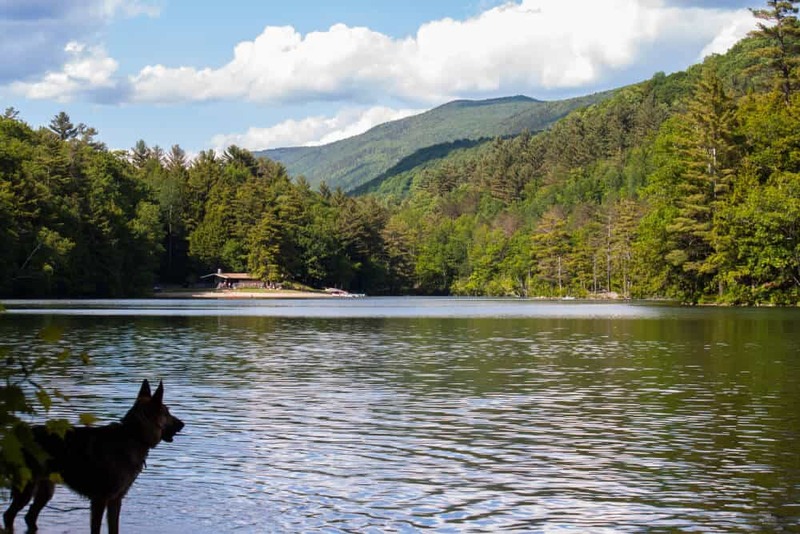 Dogs are welcome at Emerald Lake State Park, but they’re not allowed on the beach or in the picnic areas. This suited us fine, and we set out to explore. 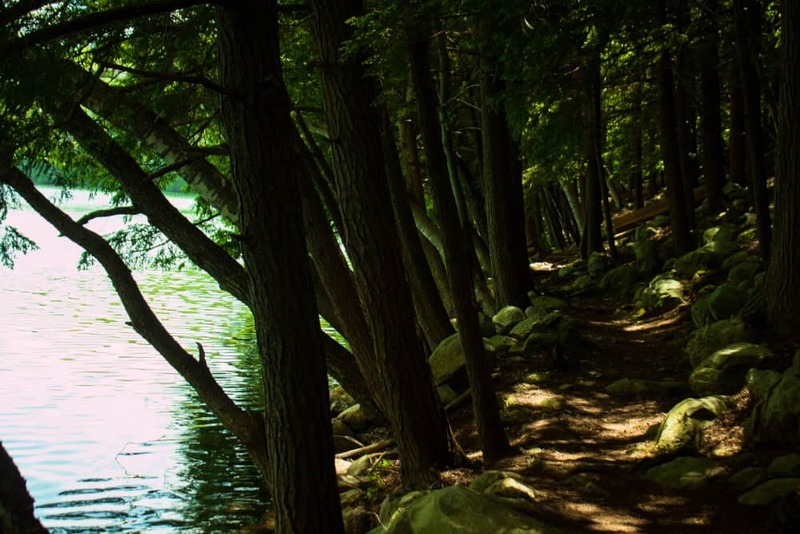 Lake Trail to Campground C – The Lake Trail hugs the shore of Emerald Lake. It’s strewn with boulders and flanked by huge hemlock trees.Like a magical promenade, there are secret swimming spots, ephemeral wildflowers, and lots of photo opps. At the southern end of the lake, you can continue on the trail to the C loop in the campground. This trail meanders along a sunny wetland, where you’re likely to see song birds, turtles, frogs, and beaver. When you arrive in the campground, you can walk the campground roads back to your site. Vista Trail – For awesome views of the lake from high above, you can’t beat Vista Trail. It’s a moderate hike through beautiful, shady woodlands, with a good variety of ferns and spring wildflowers. The climb is steady heading up to the views, but the trail is very even and well-marked. The vista loop is .7 miles, and walking at a good clip with lots of photography breaks, it took me a half hour. Work up a sweat on the Vista Trail and then hit the lake for a swim before heading back to camp. 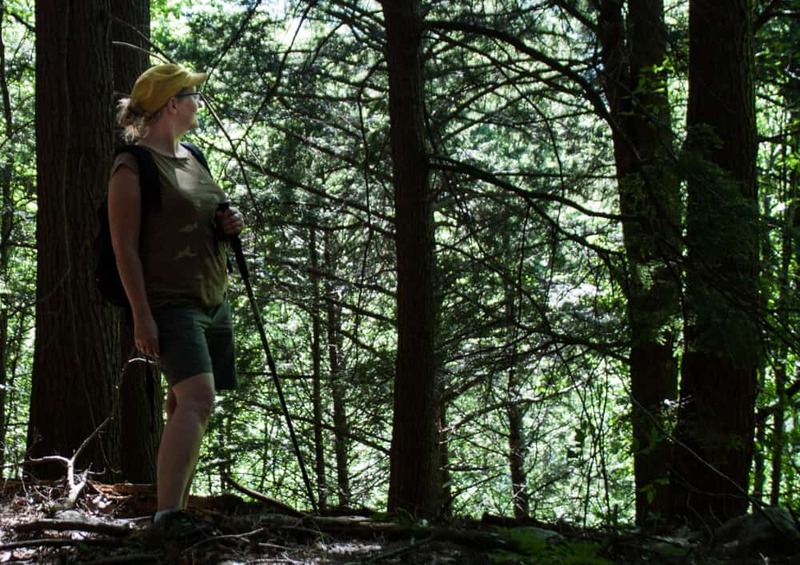 Meadow Trail – To hike the Meadow Trail, you can either start past the ranger station near the park entrance or on Lower Trail, which starts in campground loop A. I started on Lower Trail and gradually ascended through a mixed hardwood forest. Little red efts were making their way across the trail in droves and we had to be very careful where we put our feet. 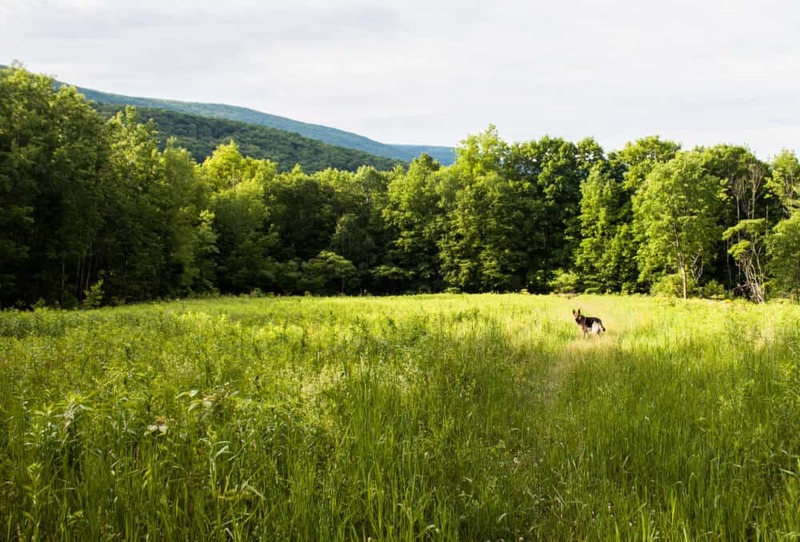 After walking along a level, wooded ridge for a while, the trail turns sharply and begins to descend through a series of meadows flanked by tall trees on every side. In June, when we visited, the meadows were teeming with birds, butterflies, and wildflowers. 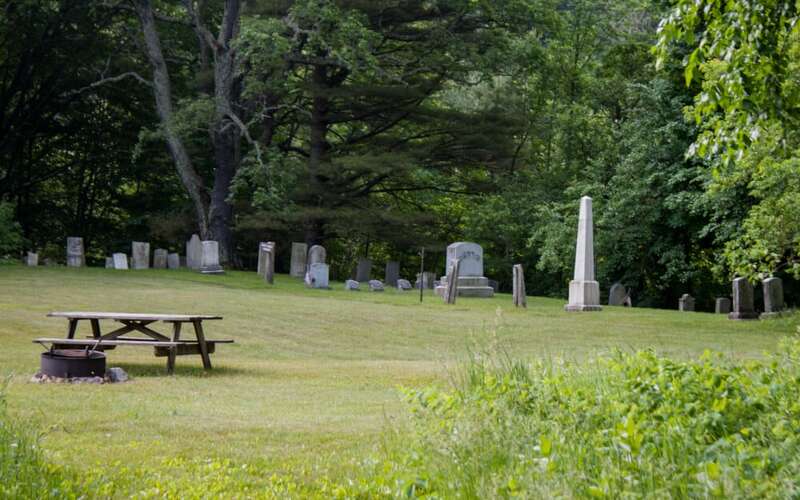 The North Dorset Cemetery is located toward the end of the trail. It’s a tiny local graveyard with headstones crafted from local marble. The oldest headstone we found was dated 1811. The best part about Emerald Lake State Park is that there’s something for everyone. The sandy beach and shallow waters are perfect for frolicking kids. Families can rent paddle boats, canoes, and kayaks for paddling around the lake. Teens and more adventurous kids can search for the island rope swing for a little adrenaline rush. For me, the quiet trails, secret coves, and abundant wildlife were enough to keep me coming back again and again. 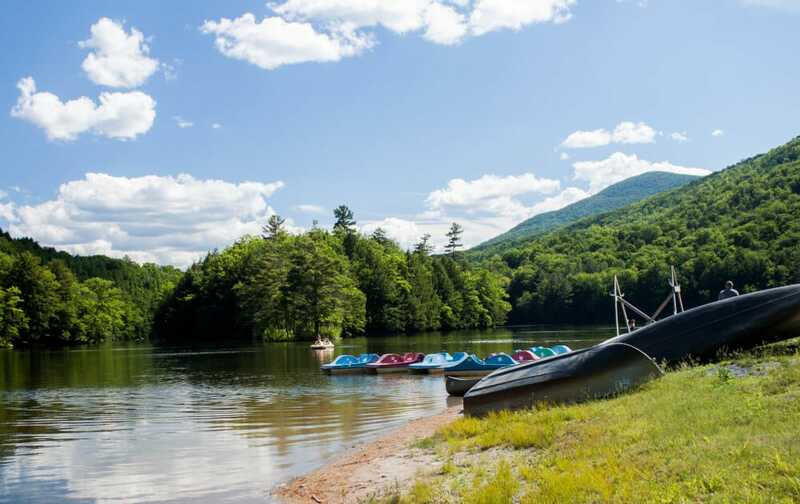 Want to learn more about Vermont State Parks? Please visit their website or check out my other Vermont State Parks blog posts. This is one of the best places on Earth. I have been going since a kid (45 years). They keep it immaculately clean. In fact the last time I was there they did not have trash cans. Imagine that! The ranger explained: What you bring in – you bring out. Totally agree, Ro! 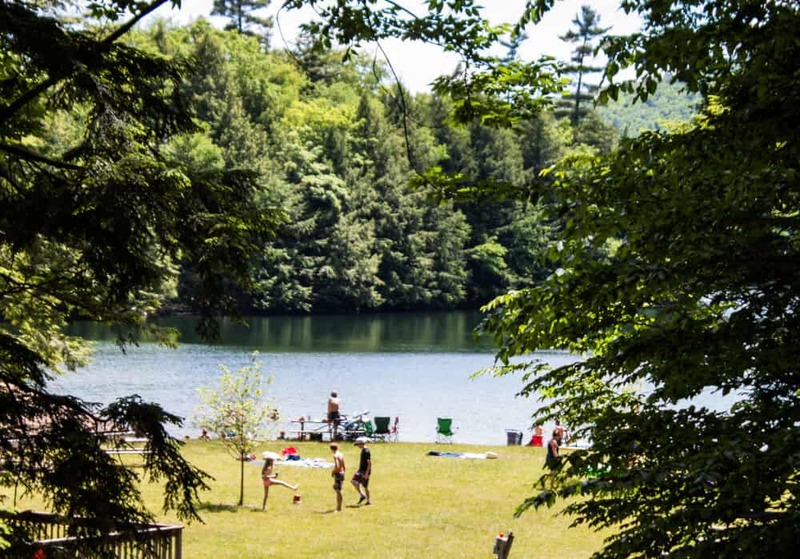 All the VT state parks are very clean and quite lovely, but Emerald Lake is one of our favorites. 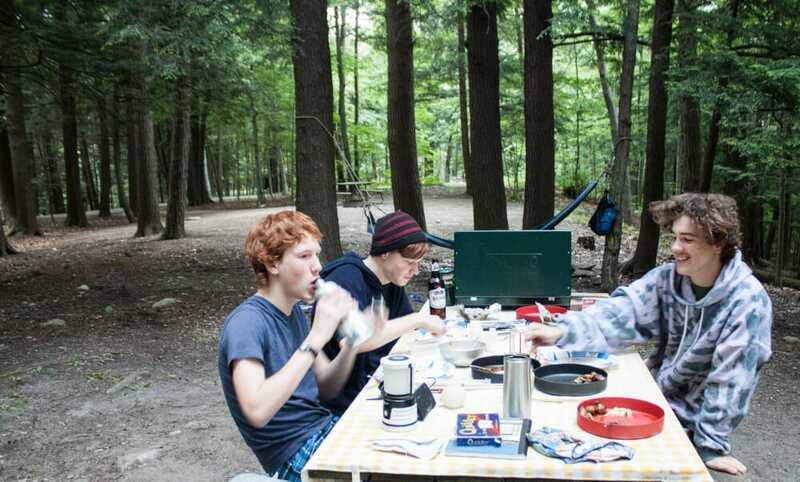 Your pictures of our favorite campgrounds just make me smile – the scenes are too familiar. With little kids we haven’t been able to take advantages of long stretches of trails but we’re looking forward to when the boys will be able to do more trail time!! My hubby DID try out that rope swing this past year, and just watching him gave me nearly a heart attack! LOL! Thanks so much for popping over for a visit, Julie. I have two boys, and we’ve been exploring VT State Parks since they were toddlers. I think the most important thing is to just keep doing it, and before you know it, your kids will be outpacing you! I’ve spent a few summers in Vermont and so I know the lake is basically the epicenter of all summer activities. I’ve never heard of this one but Vermont is massive so this makes sense! At least I have one more thing to add to my summer time in New England list! I am so obsessed with visiting state parks these days, but I’m limited to really get to know more about the parks in the Ozarks because that’s where I am, so it’s great to see some of the other amazing state parks in the U.S.! Thanks for sharing about Emerald Lake! It looks like a perfect place to not miss when in Vermont! Oooh, I would love to explore more of the Ozarks, Paige. 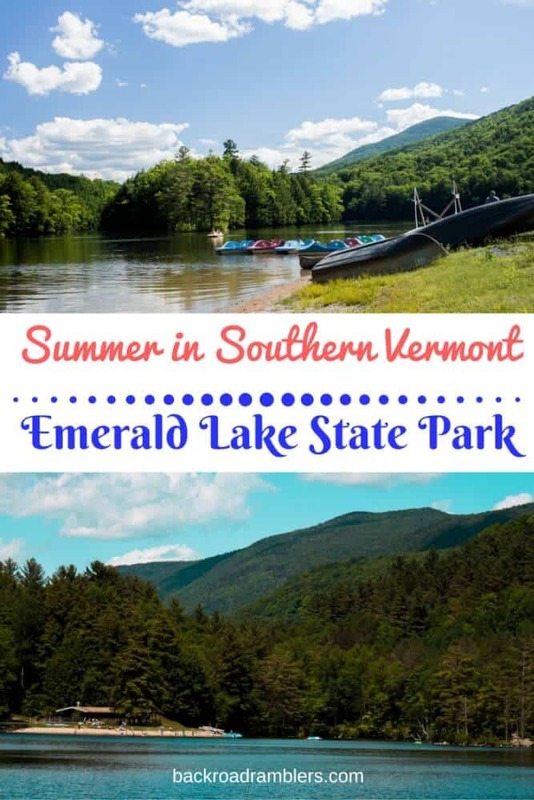 I’m exploring state parks in Vermont because they’re close to me and my teens have all kinds of things going on this summer that have kept me from traveling far and wide. What a beautiful spot! So many of the smaller, lesser known parks are amazing spots to spend a weekend…especially since they tend to be less crowded. Thanks for sharing this gem. I love hiking and these trails look wonderful. Love your dog by the way reminds me of an old dog I had growing up. Anyways, the lake looks amazing and a perfect spot to cool of after a hike during the summer. I can just imagine how relaxing a trip to Emerald Lake State Park would be. We dont have too many lakes like this where I am from (Australia). I think they are so beautiful and want to jump right in! Looks like a gorgeous place to spend a weekend! And 25 cents for a hot shower is a great deal! Looks gorgeous! I’ll be back east all next summer, maybe I’ll get a chance to check Emerald Lake out! You won’t be disappointed, Amanda. Awesome place to spend a weekend. These trails sound like an awesome day out, especially the C trail! Always enjoy spotting wildlife while hiking and it doesn’t hurt to discover some history either. This is such a picturesque place. It would be really great to spend some quality time hear in the heart of nature. The lake looks so placid and transparent.